For quite some time, women in the Church have noticed that there is a certain awkwardness in naming organizations associated with women and positions held by women in the Church. We wondered if this was the result of a primarily male focus heretofore in the Church, where men named things as they relate to men. However, in the 21st century, we understand the importance of women naming who they are and what they do. This is a healthy development that may well foster the creation of a more truly equal partnership between men and women in the Church. Is it possible that the language we have inherited from previous generations may limit our ability to envision who women are and what power and authority and skills they may have? For example, are we limited in envisioning who the mission’s president’s wife is and what she contributes because we call her “the mission president’s wife”? Are we limited in envisioning the contribution that 14 year old girls could make to the visiting teaching program because they are not called “teachers” as are the 14 year old boys? We were curious what contemporary LDS women would choose as names if the choice were theirs to make. The Relief Society, Young Women's, and Primary organizations have been called the "auxiliary" organizations of the Church. That term unfortunately connotes the idea that they are secondary to organizations of much greater importance. In the Great Plan of Happiness, however, we know that what women do is not auxiliary to what men do. The work of men and the work of women both equally contribute to the success of the Plan. So what term would you use in place of "auxiliary" to suggest that equal contribution? What term would you use to refer to the female position in the Church currently called "mission president's wife"? Do you have suggestions for changing the names of the Young Women age groups that are called "Beehives," "Mia Maids," and "Laurels"? In the Young Women theme, would you favor changing the first line to read, "We are daughters of our Heavenly Parents, who love us and we love Them"? The highest achievement for Young Women in the Church is currently called the "Young Womanhood Award." (The highest for the Young Men is called the "Duty to God" Award.) Do you have suggestions for changing the name of the YW award? Can you think of a term for the "bishop's wife" that would recognize what she does for the ward? Do you have any suggestions for changing the name of the female position called "sister training leader" among sister missionaries? Would you change the name of the female position called "temple matron"? The poll was opened 30 April 2016 through an online Google Form whose link was provided in the Spring 2016 Reader’s Puzzle online at SquareTwo. Results were analyzed starting on 13 July 2016. Dissemination of the link was through the SquareTwo RSS feed, as well as contacts made by SquareTwo board members to friends, colleagues, and acquaintances. SquareTwo can be characterized as both orthodox and centrist, and thus orthodox, centrist viewpoints are probably over-represented compared to non-orthodox and/or extreme viewpoints on either side of the liberal/conservative spectrum. The poll’s results are thus not representative of the entire spectrum of possible viewpoints, but are more representative of the center of that spectrum. 98.9% of those attempting to enter the poll self-identified as members of the LDS Church. 88.9% of those attempting to enter the poll self-identified as women. Those who did not identify as both LDS and as female were exited from the poll. This was because the exercise was one of self-naming; that is, we were specifically interested in the opinions of LDS women concerning how positions/organizations of LDS women should be named. This poll was an opportunity for women to express themselves, since men have had ample opportunity to name women already. If the language we use to name ourselves is that important, then the naming conventions used in the Church bear some scrutiny. In reading the responses to these eight questions, the very nature of the exercise illuminated how much of our language is gendered, how many of our descriptors and titles are qualified with a female identifier when they apply to women. The standard convention used in the Church today is to have the main title implicitly apply to men (i.e. missionary, mission president), with the female version then requiring an addendum to the title with the female nature of the position specified (i.e., sister missionary). In addition, some of the names seem defined from a male-centric view, such as “mission president’s wife,” which identifies the woman only as she is related to a man. The majority of respondents commented on how both of these linguistic conventions seem off-putting. The first convention, where we specify a female version of a generic position, such as “sister missionary” seem labored, convoluted and often unnecessary, like we are trying especially hard to make sure no one thinks that men and women do the same things in our institution. As one respondent noted, “If you're going to qualify callings with ‘sister’, you must also qualify with ‘brother.’ Consistency is important. Otherwise it's like saying, ‘here's the menu, and here's the kiddie menu.’ Here's the real stuff, and here's the stuff for women. Nope. It's ALL the real stuff. So if you must qualify gender, do it consistently.” In the same vein, one commenter picked up on how the addition of woman to the Priesthood Executive Council at the general church leadership level prompted the addition of a feminine-associated term, “Family,” to the name. ”Why did the Church change the name of the Priesthood Executive Council to the Priesthood and Family Executive Council when a woman was appointed to the committee? Is Priesthood not synonymous with family? Did the committee not care about families until a woman was on the committee? If women have access to all of the blessings of the priesthood then why the name change?” Again, it felt to these commenters that the institutional church was working hard to make sure women are distanced from men, and from men’s priesthood. The second linguistic convention, where we define a woman in relation to a man, seems to imply a hierarchy between the sexes, where a man is an individual, but a woman exists only in relation to a man. As one respondent put it, “I am especially passionate about changing the way we refer to women who are wives of leadership. ‘The bishop's wife’ or ‘mission president's wife’ makes her whole identity about her relationship to her husband and HIS title. It also uses the possessive, which is necessary without an actual title.” This sentiment extends also to the use of the term “auxiliary” for all women’s organizations, implying they exist only in relation to male-centered organizations. These distinctions feel “off” to a modern ear, due in part to the fact that our Church leaders today routinely emphasize the equal partnership between men and women in our marriages, families and church councils. The majority of the survey explored respondents’ feelings about specific gendered titles and descriptors, asking for new linguistic suggestions as well as for comments about current ones. We were fascinated to note how many people, despite feeling passionately that the language needs to be changed, couldn’t come up with new words to describe those positions and responsibilities even when they wanted to. It seemed that being so conditioned to let others define them put them at a loss when asked to define themselves. It clearly felt unfamiliar to explore self-definition. One of the themes that emerged from the survey is how many women found the opportunity to name themselves both delightful and daunting. “I’m so glad you are asking this!” and “This is important!” was often accompanied by “I can’t think of an alternative, but I just feel it needs to change!” and “This exercise proved more difficult than I anticipated! I think it is because so much of church language is male centric and male dominated, and there are not often good words that offer similar impact but are female centric, or even gender neutral,” and “This is hard. We need more female words of power,” and “My answers are probably terrible. But please know that I feel the names MUST change! I just don't know what options we have.” We will return to this theme in the conclusion. In the survey, we asked about seven specific phrases that apply to women and women’s organizations and callings: the term “auxiliary”; the unofficial titles of “mission president’s wife,” “temple matron,” and “bishop’s wife”; the official titles of Beehive, Mia Maid and Laurel classes as well as “Sister Training Leader” and “Young Womanhood Award.” The survey also touched on the rhetorical possibility of replacing “Heavenly Father” with “Heavenly Parents” in the Young Women Theme, recited by Young Women’s groups around the church every Sunday. The results are analyzed below. Figure 1: Should there be a change with regard to identifying women’s organizations as “auxiliary”? 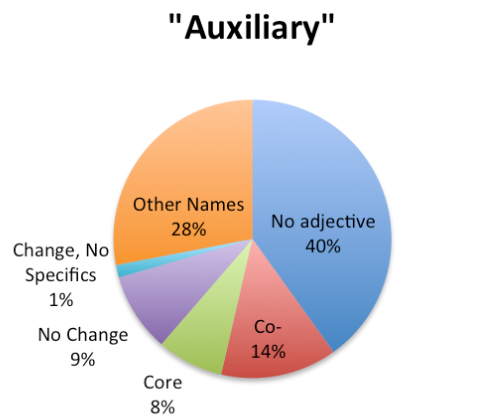 Figure 2: What change in the use of the term “auxiliary organization” to refer to women’s organizations would you like to see? Others offered alternative words, if some sort of modifier needs to still be used: “My first inclination is just to drop the modifier altogether. The Relief Society, Young Women's and Primary are organizations of the Church. My second choice would be that they are partner organizations. The term partner suggests a more egalitarian relationship.” 14% of respondents wanted a term such as “complementary,” “companion,” “commensurate,” “collaborative organizations,” “corresponding organizations,” or simply “co-organizations” to denote this equal partnership relationship. 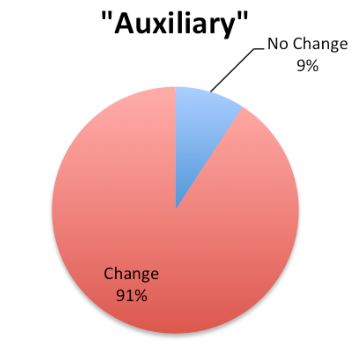 Despite the variety of words and phrases suggested by the survey respondents to replace “auxiliary” in our rhetoric, there is remarkable commonality in the yearning they reveal. Almost all of the suggested words point to a desire to have the organizations run by women be considered and treated as having equal value to the priesthood organization. Perhaps this yearning rises from the perceived discord we feel between the way we manage our marriages and the way we run our church: we are, happily, in an era in which marriage, and even priesthood exercise in the home, is spoken of from the pulpit (as in the talk by Elder Oaks referred to above) as an equal partnership, with each member embracing differing roles but equally yoked. In contrast, our rhetoric continues to unequally yoke men and women in the church institutional partnership, intrinsically devaluing the work of women with the words we choose to describe them. As we work to have men and women more equally yoked at home -- logistically, parentally and spiritually -- this survey suggests we crave to move towards similar partnership in the church sphere. 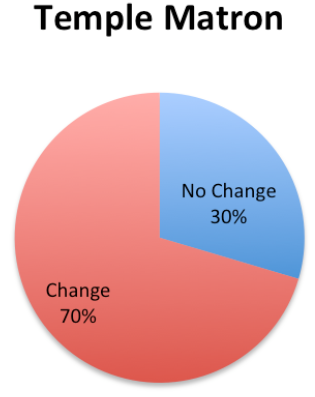 Nine percent of survey respondents did not feel the need for change. For these respondents, “auxiliary” – and even “companion” – suggest that these organizations are indeed offshoots of a central organization, which is the priesthood: “Could it be that the term auxiliary refers to being appendages to the offices of the priesthood…? While women and men are both essential to fulfilling the Plan, the priesthood ordinances are what save us (this does not downplay the role of women, the gatekeepers of mortality). I think it makes sense that the primary, YW, and RS organizations are termed as those providing extra help and power to the organizations and offices of the priesthood.” Most straightforward was this comment: “No, priesthood IS the most important thing in our church, I don't mind the RS being auxiliary.” Although a small percentage of responses, this attitude reflects the reality that the structural direction of church organization revealed in Doctrine and Covenants Section 107 (and other such sections) completely omits mention of women and their roles. (No canonical book of scripture mentions fewer women than the Doctrine and Covenants.) Thus for generations we have been satisfied with women’s institutional contributions being named as secondary, not because they are not valued but because we have had no scriptural language to define them or guidance on how to incorporate them. While men’s type and kind of participation, their participatory structure and their organizational names are carefully spelled out, no such guidance exists for women. Some, as above, take this to indicate that women are in fact secondary, unessential. This seemingly scripturally mandated inessentialism of women was frustrating to some of our respondents: “Every lesson I've had on church structure, the restoration, etc teaches that Christ's original church and our restored church had NO NEED for women. Women are typically not mentioned at all in these lessons. The auxiliary status goes so much farther than a name and I cannot see any name fixing the structural reality.” Another offered, “Do we know that women are not auxiliary in the Great Plan of Happiness? The temple doesn't suggest that at all. I know that the work of women is important, but the church sees it as auxiliary. I don't think that changing the name will change the way that women are seen or treated in the church.” This pernicious perception that the restored church has “no need” for women will continue unless we recognize, name and act on the value that half of the membership can bring more fully to the institution. Because so many respondents struggled to offer names and were curious as to what others offered, we also list here some alternative names to those discussed above, names that were suggested by only a few individuals. If women in the Church collectively have had little experience in naming themselves, it might be useful for us to see what alternatives are “out there” in the minds of our sisters. Examples of alternatives offered include “ministries,” “presidences,” “Relief Society is a priesthood quorum, call it as such,” “branches,” “leadership organizations,” “actionary organizations,” “priestesshood presidencies,” and several others. Some wanted every organization in the Church--including priesthood quorums--to be termed “auxiliaries” or “family support organizations” because all are auxiliary to the family. Several respondents also suggested that changing names doesn’t change power structures, which is a theme we shall expand upon later in the essay. Of all four titles we asked respondents to comment on, title of “mission president’s wife” registered the greatest demand for change. 96% of respondents feel that this title needs to be changed. Please see Figure 3 and Figure 4 for full results. 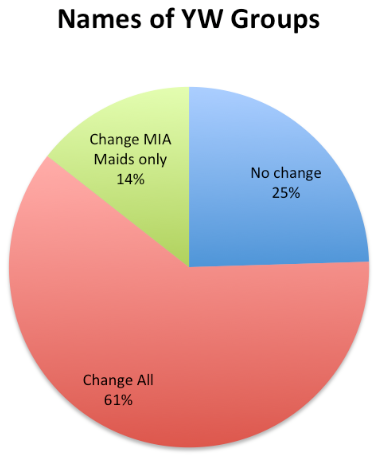 Figure 3: Do you wish to see the title “mission president’s wife” changed? 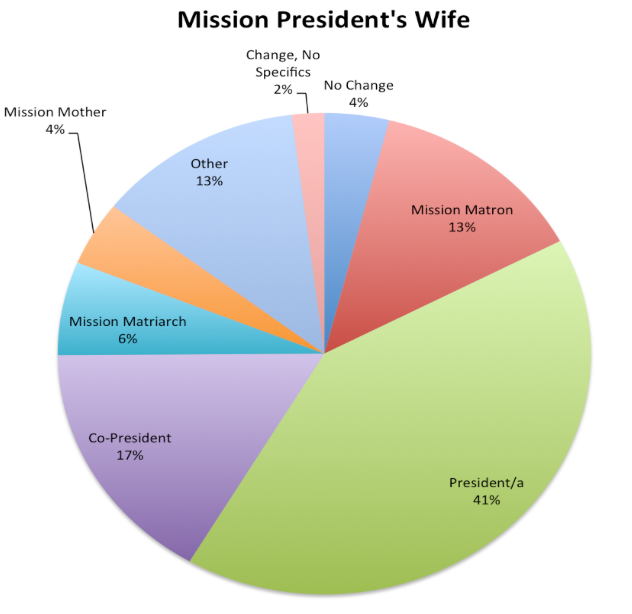 Figure 4: To what would you like to see the term “mission president’s wife” changed? Other suggested names for the mission president’s wife included “matron”, signaling a desire perhaps to have some uniformity in our women’s titles as it would echo the current “temple matron” appellation. “Mission matron” and “temple matron” allow both callings to gain in stature and indicate similar partnerships with their male equivalents. Overall, 23% of respondents indicated that “mission matron,” “mission matriarch,” or “mission mother” felt right to them. 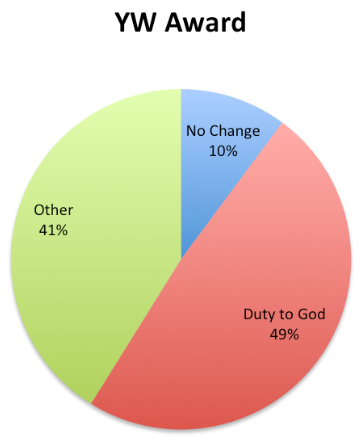 Figure 4: Would you favor changing the YW there to say “Heavenly Parents”? 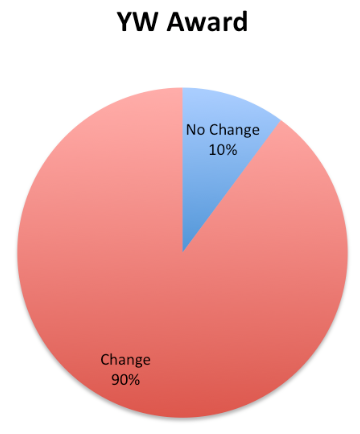 If we include those responses among those who wish to see change, then 90.8% of the survey respondents want change in the theme. 82.1% specifically favor including “Heavenly Parents” (and we suspect that other 8.7% would be in favor, also, if the theme were kept on). As one respondent put it, “I feel very, Very strongly about the Young Women theme. It would be such an easy, and valuable change,” and “I think the most imperative change here needs to be to the YW motto.” Some felt we could individually act on this desired change now: “I'm going to start reciting the YW theme to our Heavenly Parents.” And several felt that “Heavenly Parents” should be specified as “Heavenly Father and Heavenly Mother,” lest Heavenly Mother be invisibilized within a more general term. As one respondent commented, “I am desperate for more acknowledgement of Heavenly Mother as God's equal partner. I think that could encourage more people to see women as holders of divine authority and potential rather than nurturers and invisible support staff only. Parity in funding for YM and YW and parity in recognition for achievements and importance of their accomplishments (in name as well as in visibility) would be a huge step forward.” Another commented, “Just wish we knew more about Heavenly Mother. I feel like she would be a great model and influence for our women leadership. Definitely the YW motto should be daughters of heavenly parents. I am a Child of God should be ‘and THEY have sent me here.’” Clearly, this discussion on the implied presence of Heavenly Mother in the Young Women theme is just the tip of the iceberg for a broader evaluation of where else and how else we can magnify Her presence in our rhetoric, and thus in our awareness. A question about renaming the three Young Women classes – Beehive, Mia Maid and Laurel – did not reveal quite as much passion or unity in response. Figures 5 and 6 present the results. Figure 5: Would you like to see the YW Group names changed? Figure 6: What would you prefer the YW groups be called? Generally, respondents noted that the names feel dated and lacking weight when compared to the boys’ “Deacons,” “Teachers,” and “Priests,” but there also seemed to be a nostalgic element for those who had gone through the Young Women program: “I kind of liked those names, despite their U.S./Utah-centric origins, but I can see how they seem frivolous compared to Deacons, Teachers, Priests. But then again, they're not Priesthood ‘offices.’” Even so, 14% of the survey respondents would like the Young Women groups to be Deaconesses/Teachers/Priestesses. “Deacon(ess), Teacher, Priestess,” requested one commenter. “We are anointed the same as them in the temple, why not recognize that as youth progress toward the temple?” Other respondents supported the idea of parallelism in the names, but expressed frustration that it did not have doctrinal support: “I would also be in favor of ‘Deaconess’ ‘Teacher’ and ‘Priestess,’ but that change would seem incompatible with the current (lack of) participation young women are currently allowed in fulfilling their divine responsibilities within the priesthood structure.” Or this comment: “The names for the young men groups indicate the level of authority they have. There is no authority for young women, so switching out a cutesy name for something else that has no difference on what young women can do seems to be a ‘pat on the head’ action.” These comments draw upon the challenge mentioned earlier: the lack of scripturally mandated structures and names for women suggest their inessential or minimized role. However, the high number of people who suggested “deaconess, teacher, and priestess” as new Young Women names actually are drawing upon scriptural precedent. In Romans 16:1, we have the earliest known reference to “deaconess” from Paul himself. “I commend to you our sister Phoebe, who is the deacon of the church at Cenchreae," he says. While this term may not have signified an ordained church ministry, it is used other times throughout Paul’s letters and could be freely referenced in the process of naming our young women. 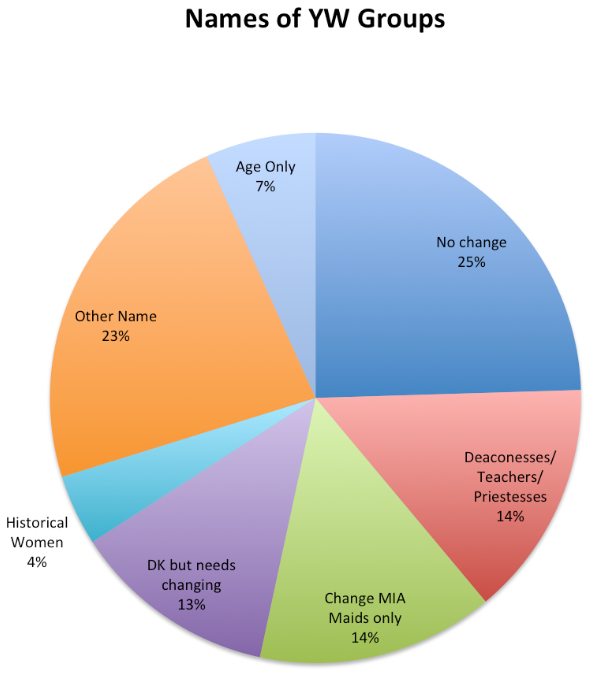 4% of respondents wanted names associated with historical women, such as Emmelines, Elizas, Emmas. Marys, Abishes, Deborahs, etc. Another 7% wanted to see only the age groups, such as YW 1, YW 2, YW 3. While 13% wanted change, but did not offer suggestions, another 23% offered an amazing variety of possible names, such as Deserets, Seekers. Shepherds, Lambs, Lanterns. Fledglings, Meadowlarks, Eagles, Rubies, Emeralds, Diamonds, Pioneers, Pilgrims, Nobels. Shepherds, Scholars, Disciples, Endeavor, Strength, Purpose, Prioress, Abbess, Priestess, Junior, Leaders, Novices, Apprentices, Ensigns, Beacons, Builders, Achievers, Officers, Evangelists, Faith, Hope, Charity, Preachers, Warriors, Queens, Guides, among others. While there was not as much unity in opinion on what the change should be, the responses reveal a deep desire to endow our girls with both meaningful responsibility and with names that help them embrace and grow their agency and their strength. 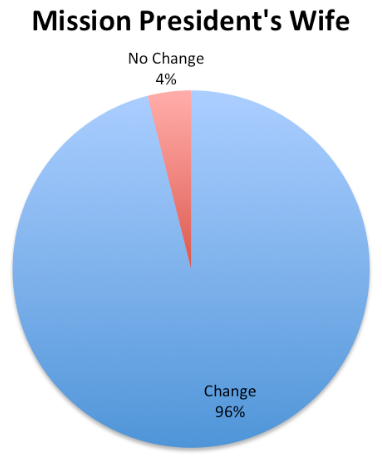 Figure 7: Would you change the name of the YW Award? Figure 8: To what would you change the name of the YW Award? In contrast to “mission president’s wife,” the term “bishop’s wife” didn’t engender nearly the same call for change. Most commenters noted that the bishop’s wife is not herself called to specific responsibilities. She is neither required to take on certain tasks, leave her home or become directly engaged with the ward members, the way a mission president’s wife is. She has no explicit spiritual or ecclesiastical responsibility. “I’ve been a bishop’s wife,” said one commenter. “It isn’t really a calling so I don’t think it needs a title. She is simply supporting her husband in his calling as she would in any other calling.” Bishops are often called when they have young children at home, are working full time jobs and are even at the height of their careers, and many seem to appreciate the fact that she doesn’t have more church responsibility in the face of her husband’s duties. Figure 9 shows an almost even split between those who would like to acknowledge that a heavy burden has fallen upon her, with others who do not think the burden is heavier than that associated with being the spouse of someone with another calling. 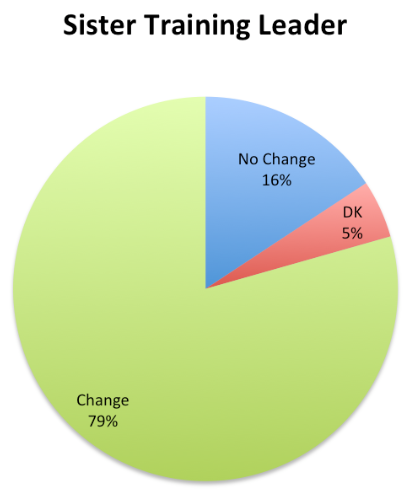 Figure 9: Would you like the “bishop’s wife” designation changed? Even so, 52% of respondents do feel there should be more formal linguistic recognition for her. “Ward matriarch,” “ward mother,” “ward matron” were the most popular suggestions. Again, some noted that in other languages there are natural alternatives: “I was called Obispa. I wish we had an English equivalent.” Although interested in changing how we refer to her, many who were at a loss for alternative words revealed how we sometimes use language to pity women at church. “Ward widow? Ward superintendent? Saint? Sacrificial lamb? Sister Single Mother? Survivor? Person who all of a sudden hates church?” sums up the variety of suggestions on this front. While not going so far as to have a Brother Bishop and Sister Bishop, some local leaders have found creative ways to manufacture structural partnerships between the bishops and their wives simply through callings. A stake president in Utah, for example, calls the wives of all of his stake’s bishops as welfare specialists so that each wife can serve as a partner with her husband in addressing the temporal needs of the ward members. This lessens the wall of secrecy that usually exists between a bishop and his wife, and allows the wife to feel invested in the calling that demands so much of her husband. Others felt that giving an appellation to the bishop’s wife would burden her even more: “I'm afraid any kind of official calling would tax those poor women even more. We recognize that they perform some pastoral roles and sacrifice a great deal, but giving those things as a calling would add the burden of expectation.” Another concurred: “As a former bishop's wife, I think that changing the way of referring to the bishop's wife might imply more responsibility and I'm not sure that is a good idea. Taking care of our 7-10 kids was enough work and though I supported my husband in all he did, I was grateful those duties were officially his not mine.” Alternatively, in some areas where the Church institution is still developing, bishops may have inactive or non-member wives who are not interested in being involved ecclesiastically. While most commenters acknowledged the sacrifice required by wives of bishops, it seems tacitly understood that much of that sacrifice occurs outside the church walls and is thus invisible to most ward members. In contrast to the mission president’s wife and temple matron, who clearly leave their physical comforts and consecrate obvious time to their support of their husband’s calling, a bishop’s wife experiences physical limitations (i.e. help with kids and home) and time constraints, as well as the emotional toll of loneliness and exclusion from much of his work, in the privacy of her home. As ward members, our observations of her sacrifice are greatly hampered, and we may go so far as to studiously disregard the sacrifice we do see as simply part and parcel of a bishop’s wife’s role. This distance from her sacrifice may explain where our survey respondents seemed to feel so much less passion about this particular name than others. 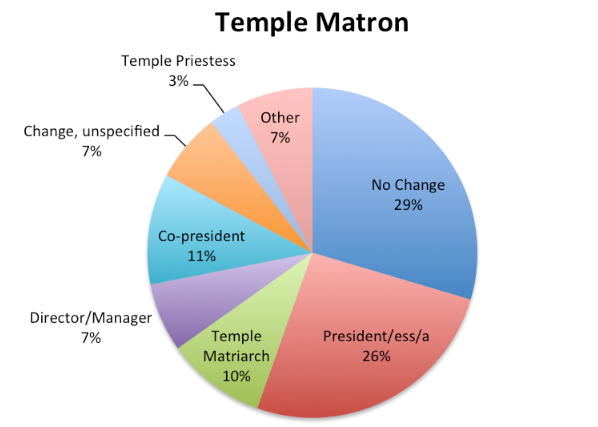 Figure 10: Would you like the term “temple matron” changed? It is interesting to see that 37% of the survey respondents--a plurality--would like to see the temple matron become a “temple president” or “temple co-president.” While some favored presidentress, others felt this term “doesn’t seem to others to be any less old-fashioned than ‘matron.’” Others felt that the Latin term "presidenta" would be appropriate and felt regret that English does not provide such a simple solution. Again, this question epitomizes our desire to linguistically acknowledge the tremendous work done by women in a called-and-set-apart position such as temple matron, but reveals our inability to come up with better language to describe that work or find scriptural precedents for new names. Interestingly, “temple matriarch” and “temple priestess” have linguistic male equivalents: their partner terms would be “temple patriarch” and “temple priest”, and many commenters find themselves craving to use these partner terms because their have parity and yet difference built into the language. “My husband is a high priest,” said one woman. “Doesn’t that make me a high priestess?” We have linguistic pairings for describing ecclesiastical and spiritual jobs, but we simply do not use them, seemingly for fear of suggesting that men and women have the same authority and responsibility. Why is this? The current appellation we use for temple president doesn’t have a female equivalent (in modern parlance) and this seems to be where we get stuck. Many are obviously comfortable with both men and women being called “President,” even when they have different roles, as “doctors” have many different responsibilities – surgeon, psychiatrist, professor – and we don’t confuse them and think they all must do the same thing. Also, we seem to imbue “President” with ecclesiastical authority, when linguistically it suggests to modern culture more of a managerial authority. (We have presidents of clubs and companies, but are there other spiritual institutions today that have presidents? The etymology of the word doesn’t have spiritual origins, although one of its roots is “preside” which was used in early clerical contexts.) Do we mean for ecclesiastical and managerial authority to be one and the same? By calling a man “President,” are we exclusively identifying his priesthood authority? Are we not also identifying his administrative and managerial authority? Even if a wife does not hold the same priesthood calling as her husband, is she not equally engaged in the managerial demands of the role as well as being his partner in priesthood covenants? If so, she should have the same title. Figure 13: Should the term “sister training leader” be changed? Figure 14: What term should replace “sister training leader”? 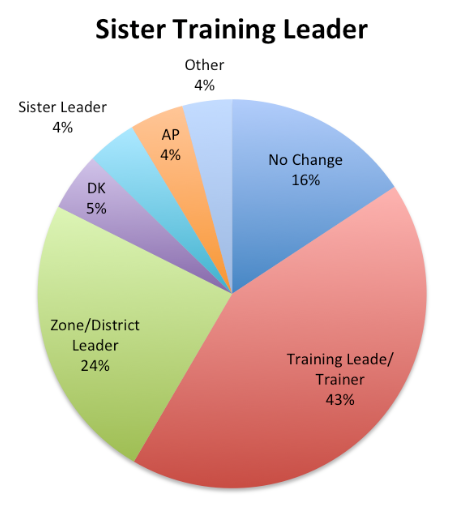 Drilling down in Figure 14, a strong plurality (43%) felt the name doesn’t need to be changed that much: simply drop the “sister.” “Training leader” is still distinct from the male missionaries’ titles, but describes thoroughly the responsibilities of the position without the gender qualifier. One respondent stated, “If she’s not in a leadership position over elders, where’s the confusion in using the same nomenclature?” Another echoed this sentiment in a more ironic way, saying, “I honestly think most of the naming could be identical . . . considering that the gender construct is so rigid that no one would mistake a woman as being the one in charge even if they has the same title.” Still another asked, “Do they call the male version "elder training leader?” Two respondents asked why elders could not be trained by sisters, as well. The survey ended with a field for open-ended comments, and respondents were also able to make short comments within the individual questions on terms/names as well. After reading all of these, we noted three main themes about naming, as well as several other themes not directly related to the questions of the survey that we feel merit attention. Naming Theme #1: Women were delighted to name themselves, but discouraged that they had had so little practice in it that they were often not able to think of names they preferred. As noted in the introduction, this survey was only open to women because we were specifically interested in the exercise of women naming themselves, rather than letting men describe women and what they do. As such, the comments - all female voices - revealed the newness of the exercise and a level of unexpected difficulty. Women are so unaccustomed to ecclesiastically defining themselves they found themselves at a loss rhetorically to describe key contributions. For some women, the survey was the first time they had ever been asked to describe and name the ecclesiastical roles of women at church. Even for those who had thought about the possibility of new names, coming up with a useful vocabulary still proved hard. “This is hard. We need more female words of power.” Indeed, English specifically seems to offer slim pickings when called upon to describe female spiritual power which contributed to the feeling of helplessness that tinged some of these comments. Naming Theme #2: Women felt names were important and had real consequences, and that names were not a fluff issue. Overall, however, respondents overwhelmingly expressed a belief that “words matter” and that titles that better evoke women’s spiritual power will lead to greater purpose and expanded functions. Some were motivated less by expanded functions and more by a simple desire for their daughters to grow in the gospel with a dignified sense of their womanhood as being on par with manhood. Many asserted that appropriate names and recognition are merely stepping stones to more substantive change, but stepping stones that themselves have power to fortify self-perception and women’s spiritual health within the institutional church. Still others understood that we are what others describe us to be. As psychological research has routinely proven, “labeling” has a profound effect on how people think of themselves. Saying someone is “smart” or “mean” makes it so. In this vein, most respondents recognized that telling women they are “auxiliary” or that they are merely “the mission president’s wife” has deep psychological and spiritual implications that, although some claim not to notice, most of us internalize to our detriment. Naming Theme #3: Women offered differing viewpoints on whether name changes should precede or follow real structural change. While most respondents agreed that “words matter,” it was impossible for some to separate the issue of renaming roles, organizations and awards from the actual purpose and structure of those things being named. They debated: Are name changes useless or worse, deceptive, if the structure doesn’t change? Or does the name change lead to changed mindsets that then lead to changed structure? Within this debate, we noticed three strands of argument: 1) changing names and titles is merely “symbolic recognition” without “substantial change,” or, in some commenters’ words, putting “lipstick on a pig” and “new wine in old bottles;” 2) all names and titles in the church divide and distract, and we should all - men too - return to calling each other by brother/sister or by first names; and 3) titles make women feel uncomfortable and they would rather not be addressed by their calling at all. This ambivalence about naming - either because they demand too much honor or don’t carry enough - confirms that our titles do not align with the duties we feel they ought to describe. In this survey, we targeted centrist female members of the Church and found an overwhelming desire to change specific titles and descriptors of women’s participation. While the statistical results showed large majorities in favor of new titles, the individual comments added an important personal dimension to the numbers. Specifically, the comments identified just how difficult it is for women to come up with language to describe themselves, even when they sincerely search for words. “We need more words of power!” as one of the commenters remarked, reflects our own feelings after witnessing this sincere search among respondents. We also recognized how extensively our current language positions women in relation to their husbands or the men they serve with, resulting in most women’s titles including a modifier that ties them either to their husband or to their gender. Lastly, comments explored a broad range of attitudes about the importance of titles and whether they are catalysts for or results of ecclesiastical change. Inclusion of “Heavenly Parents” instead of “Heavenly Father” in the Young Women’s theme was almost uniformly desired, as was an alignment of the Young Womanhood award in both name and purpose to the Young Men’s Duty to God award. Also regarding the Young Women, while the majority feel the names of the classes should change, Beehive and Laurel seemed to hold positive and nostalgic significance for some even while still agreeing that Mia Maid is outdated. Introducing new rhetoric to describe the “bishop’s wife” received the least enthusiastic response. Many noted this is not a specific calling, but perhaps the private, domestic nature of the wife’s sacrifice makes her contributions to her husband’s role less obvious to members and thus seemingly less needing of a title. In addition to the statistical answers gleaned from the survey, we found a rich trove of themes in the open comments sections. Three themes rose to the top: 1) Women were delighted to name themselves, but discouraged that they had had so little practice in it that they were often not able to think of names they preferred. 2) Women felt names were important and had real consequences, and that names are not a fluff issue. 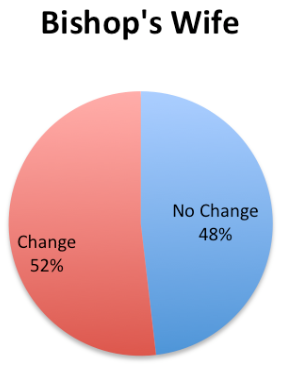 And 3) Women differ on whether name changes should precede or follow real structural change. In the previous section of this essay, we also discuss other noteworthy themes that emerged. These statistical results and the hundreds of comments that accompanied them serve to confirm that the names of women’s organizations and roles in the Church are awkward at best and demoralizing for most. Although it was new for some and difficult for others, the opportunity to consider our own names - and by extension our purposes - within the institutional Church was a meaningful and reflective experience for all respondents. The responsibility to adapt church structure to meet the needs of the people today is a privilege our leaders (local and general, male and female) have and use, and we believe there are few places this privilege will do more good today in building the Kingdom of God on earth than in building--or perhaps the better term is excavating--a deeper understanding of the roles of women and women’s organizations in the Lord’s work. We believe the depth of our faith community’s understanding is reflected in the names we use, and the poll results indicate that the women of the Church are ready for significantly greater depth than currently exists. There were also some issues that were mentioned by respondents that we did not discuss in the essay. These included 1) how we name sister temple workers (“Sister temple workers need to be called “officiators” instead of “followers”: “Refer to sister temple workers as "officiaters" of endowment sessions, rather than "followers" because they are the ones who provide the ordinances for women (could not be done by the male officiaters) and they are up front (aka- the do NOT do any following),” 2) how women are blithely asked to cater events for men in the Church (“In the trenches this translates to women in our stake constantly being asked to cater for men's activities such as priesthood leadership, and they all sing our praises and thank us and then traipse out to the Saturday evening session (which is for everyone), leaving us to spend the next couple of hours cleaning up.”); 3) certain local practices not in harmony with Church doctrine on equal companionship between husband and wife (“I also had my bishop dismiss me in a tithing settlement interview saying he wanted to talk to the patriarch of my home (my husband). The whole attitude needs to change but it never will unless it changes at the top.”), 4) the incongruity of having 14 year old boys begin to home-teach with their fathers, but 14 year old girls not having the opportunity to visit-teach with their mothers ( “I think girls should start Visiting teaching at age 14. They are often more mature than 14 y boys, and they could get to know the sisters and create a more natural transition to RS.”); and the use of the term “president” for women whose calling is as a president (”Another issue is the *use* of these titles. We should call general-level leaders (such as the General Primary President) ‘President Smith’ and not ‘Sister Smith.’”) [Back to manuscript]. Full Citation for this Article: Cassler, V.H. and Neylan McBaine (2016) "What’s in a Name? 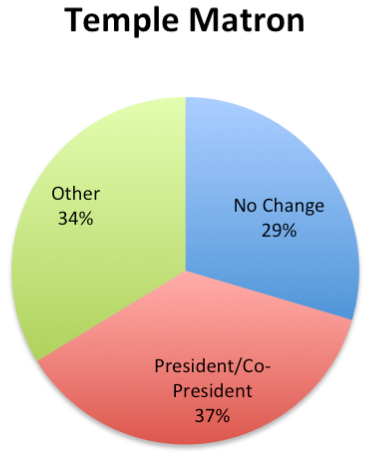 SquareTwo Poll Survey Results on the Naming of Women’s Positions and Organizations in the LDS Church" SquareTwo, Vol. 9 No. 2 (Summer 2016), http://squaretwo.org/Sq2ArticleCasslerMcBaineWomensNamesPoll.html, accessed <give access date>. Would you like to comment on this article? Thoughtful, faithful comments of at least 100 words are welcome. Please submit to SquareTwo. This article was very interesting! What struck me is that it seemed like the more prominent the position, (i.e. Mission President's wife being the greatest) the more strong the response was that the name needed to be changed. While I do not argue that it would be a great thing to change, isn't the importance of changing "Mia Maid' almost paramount so that these young women can be set up for success? Once the actual shift in mentality has taken place even among the most "powerless," for lack of a better term, the change in the more prominent positions will simply follow. Thanks to everyone that is out there fighting to make positive changes! Hi! This article was linked to in the Q.Noor Facebook group. And I'm so glad it was—what interesting and valuable research! Similarly to many of the respondents, I see the need for change but have few ideas about what to change it to. I'd like to thank you two for all the hard work you put into creating and conducting the survey, and for expanding on and sharing the responses! I'd also like to add one thing that was missed in this particular survey: calling male missionaries "Elder __" vs. calling female missionaries "Sister __." The men get to hold a special title during the time they serve as missionaries, but the women are called the same thing that they are called their whole lives, the same title as literally every female member in the world. And it's not just a recognition thing: I think there's something about having a missionary title that makes you go "Wow, I've been singing about this since Primary, and I'm finally an Elder. I'm not Brother __ anymore, I'm Elder __. I have an Elder's responsibility, and I guess I've got to start acting like one." The women missionaries are just as devoted in their callings, and I'd really like to see them get a corresponding title.